A.A. Milne was a soldier under WW1, the war to end all wars. Describe the role of the soldier under WW1 and the trauma they experienced: The first World War was the huge war to end all wars. Alan Alexander Milne was the author who wrote Winnie the pooh. He served under the WWI, and this gave him PTSD. PTSD stands for post traumatic stress disorder. This syndrome gave him flashbacks that traumatized him, when high noises and similar action takes place in his life. How many soldiers died during WW1? : 16 million people died during the WW1. This was a big tragedy, and made a huge depression. 700 000 people from UK died in this war, and leaded UK with a lack of men, and a big depression. When he returned for war, how did he adjust? Happiness, what makes you happy? What did Christopher Robin want from his parents? Alan Alexander Milne and his wife used Billy Moon to act as Christopher Robin in real life so the book “Winnie the pooh” would get a bigger success. But this made Billy Moon be Christopher Robin in the public. But after he was bullied as Christopher Robin, and he lost he’s identity as Billy moon, did he just want to one thing from his parents. The only thing he wanted was to serve in the WWII. Why did Christopher Robin have such trouble with the characters in his father’s books? Everybody in the outside world though that Billy was Christopher Robin from his fathers book. People thought that the characters from “Winnie the pooh” was based on a true story. So they thought he was Christopher Robin from the book, and some in the boarding school started to bully him. And this gave Billy Moon a terrible time while he grew up. What was his relationship with his father? : In the movie was the relationship between Billy and A.A Milne quite complicated. We could see from the beginning that the father struggled to get a good connection with the baby, so they had to hire a nanny. The parents to Billy tough first he was going to be a girl, but under the birth did they get a boy. The mother struggled to love a boy, because she was afraid to lose another she loved “to the next war”. And the boy struggled to find a connection with his father because he always had to write, unless the time the nanny and mother lefted town. Then they had to be together in the woods, while the father founded the concept for his next book called “Winnie the pooh”. The novel was based on Billy Moon and his teddybear living in the forest. But after the book got famous, did the relationship between billy and A.A Milne fade away. Mostly because the book gave him a bad time growing up. What was his relationship with his nanny, how did it develop in the movie? : the boy’s relationship with the nanny was quite strong. The nanny was the only person who found time to be with the boy, and she always wanted the best for billy in his childhood. And billy connected in a way that his parents couldent do in the same way. 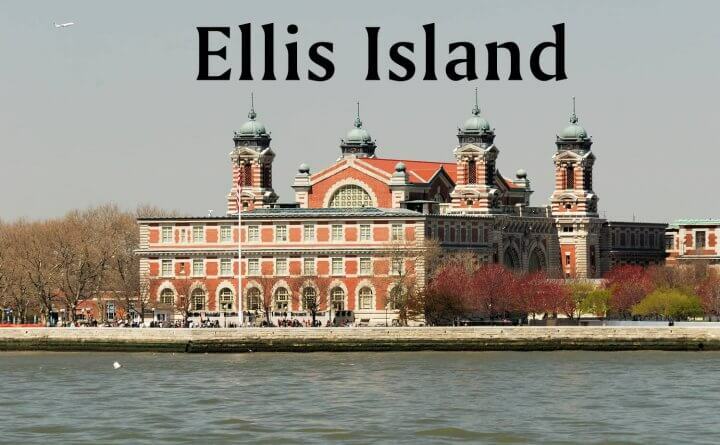 Ellis Island was the registration center for the immigrants how camed to USA. The center was running from 1892 to 1956. The immigrants immigrated with boats form Europe, and arrived to New York. They had to register in the registration center in Ellis Island to get the right papers, and to get the stample on the Passport/ papers. Half of the immigrants in US history was registrated on Ellis Island. And alot of famous people wore registrated on Ellis Island. Included Albert Einstein (the famous siencetist). The people camed to the US to live the American dream. The American Dream was to live a better life, in a country with a lot of possibilities. It is to live in a democratic country, with freedom and equal rights. And a county to live a good life with your family. One Norwegian who moved to the land of opertuneties was Ragnild Moen. She was from Norway and moved to USA in 1851. She travled with the Ship named “Alert”. The moved from Norway with her husband to live a better life in the USA. They moved because they couldn’t afford the farm in Norway. They sold the farm to move to the USA. One celebrity who immigrated to manhattan was Albert Einstein. Einstein travled to Ellis registration Center in 1933 with his wife. He moved to America to escape the Nazi regime , and the jewish persecution. He moved to the USA to researts and create the atomic bomb, to help America win the WorldWar II. He didn’t want to create a mass destructive weapons. But he knew that the Nazi regime was even worse, so he helped to create the atomic bomb. We still have a American dream today, however we got a new version of the American Dream. The old one is to get a degree, and come in to college. The new one is to solve a big problem in the society, and make alot of money, to live of it. Just like the grounder of tesla. Varieties of English, in a English speaking world. The English language have grown a lot in the History. Facts shows us that one of the main reason why English is the most talked language in the world, is because of the British Empire. The British Empire and the Industrial Revolution forced people to to talk English. After Britten colonized large parts of the world, most of the world suddenly started to talk English. After the WWII felt the British Empire, and The United States of America became the superpower. Their political and military strengths affected the world. Their culture, like music, movies and artists, changed the world. And their advanced technology made it a lot more important to learn English. Today is English mentioned as a Lingua franca. That means the worlds language. There are approximately 4.8 billion people who talks English in the World. . That is around 70% of the world. But not everyone are talking the same English. Australians talk “Australian English” as their first language. Its their mother language, and are a dialect from English. Australian English has their own accent, and they have some words that are different form the original Brittish English. Because they are affected by a lot of American culture(like movies and music) do they understand the different words. But Americans will be weary confused by the Australian words like: Roo(kangaroo), Mozzie (mosquito) and slab (24 pack of beer). People from Japan are talking “Japan English” as their second language. Its not their mother language, and they has a funny accent. The people in Japan, can’t say words with R. So when an American says Really, a person form Japan says “Lilly”. Because of this R word mistakes, are they talking a different type of English. This is a new type of English and are inside the category of Creoles. They are also EFL’s. That is English Foren learners, and Japan is the biggest nation with EFL. EFL is an important way to learn English in a fast way. American English is the most talked type of English. And is very similar the English form the Hollywood movies. Americans speaks “American English” as their first language. They have Manny different dialects. The most popular dialects are Southern dialect, and Northern dialect. The southern dialect can be acosiated with red-necks from Texas. And the Northern dialect can be associated with Ashton Kutcher. The reason why the American English is so popular, is caused by their culture, and politics all over the world. Can gaming help your English? I believe that gaming in class can help students learn. And we tried this theory in todays English session. We lounged a game called “Spent”. The game is about surviving as an American in a month with a bad job, and low salary. You had to take care of your child, and started with 1000$ to survive. Luckily did the state pay for health care for my child, but I dint afford to get it. It was really hard to survive, because I had to take care of my child, and was forced to make decisions I didn’t want to do. One example is when I collided my car with an other car, and decided to drive away without paying. I did this because it was my only option to survive. This decision made me feel guilty, even if it was in a game. And the wired thing is that these problems happens with Americans every day. I believe that these problems doesn’t happening here in Norway in same level as America. This is because we have a good welfare state in Norway. A welfare state is a state were you pay taxes, and recives free access to school education, and healthcare. We also have NAV. NAV is an organization witch gives money to poor people, or people without a job over a longer periode. If USA would have organizatiation like this, would it help a lot of poor people in the USA. My name is Tom-Vegar Moen and I am a American sittisent who lives in Norway. As a half Norwegian, is the could climate a big part of me, but if it disappears, will I lose a big part of me. And I don’t want that in the future. We recently viewed your documentary “Before the flood” in English class. I found the things and argument very interesting, and I mostly agreed with everything you said. I really liked your speech about climate changes for the UN. The thing that surprised me was how much ice that melted the last 5 years. You guys talk about 30 feet. That really shocked me. This English-session, we had on the agenda to Skype with some friends of Ann (the English teacher of 1STG) In Israel and India to talk about climate changes. Ann decided to Skype with the Students from India and Israel to ask them questions about climate changes. They shared their concern on the issue of climate changes, and how they were affected by the changes. This was a successful project, and it was really educational. The 13-14 years old students from India told us that the country had a lot of problems with air pollution, caused by the factories, and the cars by releasing Co2. They also told us about a flood that killed manny people, and that this was an extremely cold winter. The 11-12 years old students from Israel explained that it way really hot in their country, and they struggled to find enough water for everybody. So the school decided to have a project to store water. The problems in Israel and India, are mostly caused by climate changes. We can see that the conflicts from these countries, matches some of the issues (the famous actor) Leonardo DiCaprio talked about in the documentary “Before the flood”. “Before the flood” is a documentary about why climate change is a problem, the most exposed places in the world, and where the problems are coming from. So we could connect these Skype-conversations with the documentary, and that was really educational. In the next English session did we watch a video about two girls from Bali, who wanted to make a change in the world. They saw that the plastic pollution was a big problem in Bali, and wanted to make a realistic goal, to actually make a difference. Their realistic goal was to decline plastic bags in Bali. And after some hunger strike, over a million signatures, and a meeting with the government did they get a deal with the prime minister to make Bali plastic bag free in 2018. In Australia were there problems about a heat wave. The temperature was up to 50 degrees, and created big issues in the country. Because of the heat wave, the temperature is raising, and water is disappearing. The group most affected by climate change are the native animals. They can’t handle the extreme heat, and the drought of water. 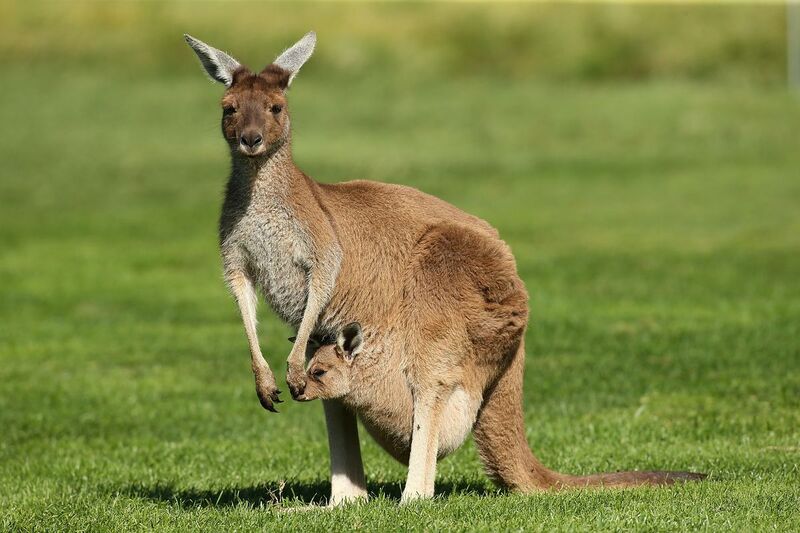 Their natural habitat is changing, and are challenging the native animals even more. The Australians are doing a lot of measures to stop climate changes in the world. One of their big goals is to ban plastic bags in shopping mall. We had some problems with the setup for the Skype conversation. So the IT-spesialist had to help us to connect the computer to the projector. And we had to use Herman Sætre’s computer, because the camera didn’t work on the teachers one. But we figured it out, and made a good conversation with the students from India an Israel. The title “Facts vs Fear” symbolize the conflicts in the UK and the reasons to complete Brexit. Manny people in the UK are afraid of immigrations, and don’t want to have more immigrants in the society. The most of these people who are afraid of immigration, are they who aren’t living in a place with Manny immigrations. They will then not know manny immigrations and will judge them. Sow they will mostly fear immigrations because of the news in UK. The people who know immigrations will have better attitude them, and will know that the news in UK has a bad view of immigrants. The people will see that most of the newspapers are wrong about immigration, and studies shows that immigrations are good for the society. Sow the best way to get away fear of something, is to counter it with facts. Brexit stands for UK leaving the European Union. And have to sign a contract to leave the EU. EU don’t want to loose one of their most important countries, but to not loose any more countries, have they decided to not let the UK get a good deal to leave the European union.